try the following process using the data (not wifi) connection on your mobile phone. Open the web browser (Chrome, Firefox, Safari, etc.) on your mobile phone. 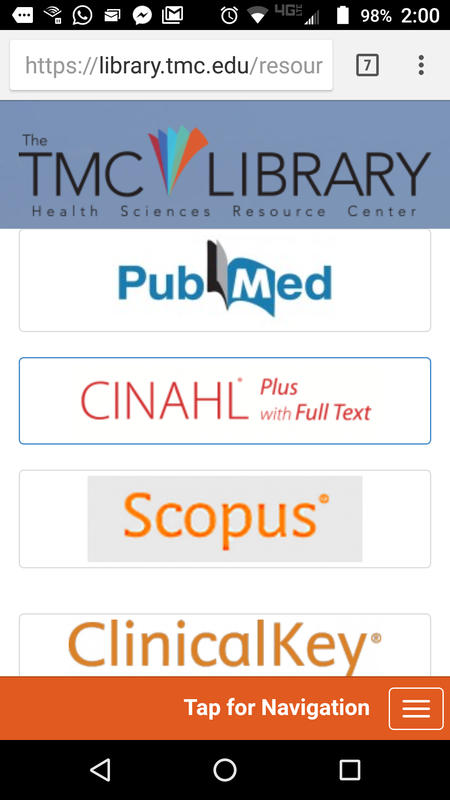 You will be taken to ClinicalKey. Tap on the triple bar symbol (sometimes called the "hamburger button") in the top-right corner. A new menu will appear. 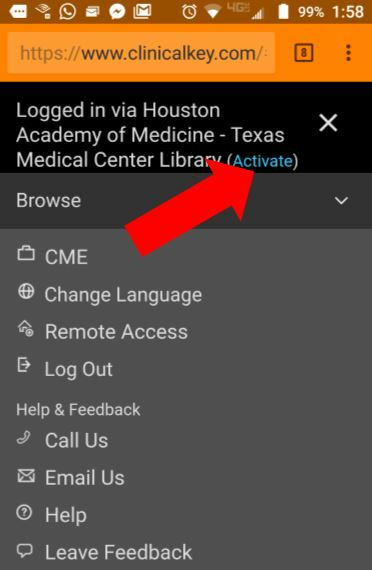 It should say "Logged in via Houston Academy of Medicine - Texas Medical Center Library" at the top. 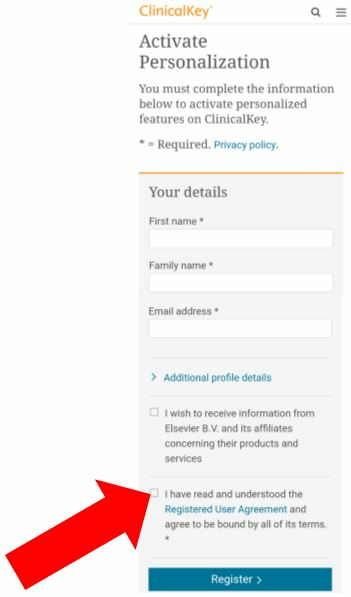 Upon tapping Activate, you will be taken to the Activate Personalization form. 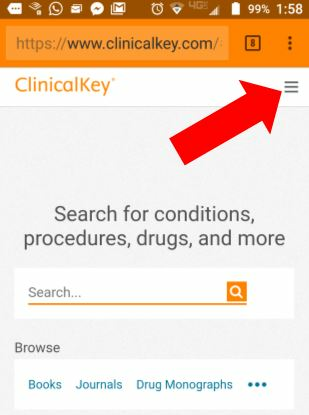 After you have completed this one-time activation process, ClinicalKey will recognize you anytime you log in with your OpenAthens login, regardless of which browser you use.